The loss of the Big Ugly as a means to get the MMA Bill done is certainly a blow, but things aren't completely lost just yet. A02604C can still get across the finish line via the old fashioned route, i.e., through the Assembly's legislative mechanism. But to make it work, some things have to happen. 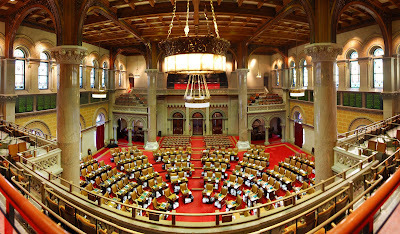 First, the required Democratic conference support must be there, which might be problematic given the growing number of Assembly members who have had to bail on the extended session for whatever reason (granted, the reasons are valid, like hip surgery and family emergencies, but still...). Their absences are chipping away at the 78 "yes" votes the bill had when last week ended. Second, to get the bill through the various committees, Speaker Carl Heastie needs to show some of the support he had promised. Thus far, that support hasn't been forthcoming. If the MMA Bill doesn't happen this year, much of the blame rests on Speaker Heastie's shoulders. Not because he's tried to impede it, but because he hasn't lived up to his word. 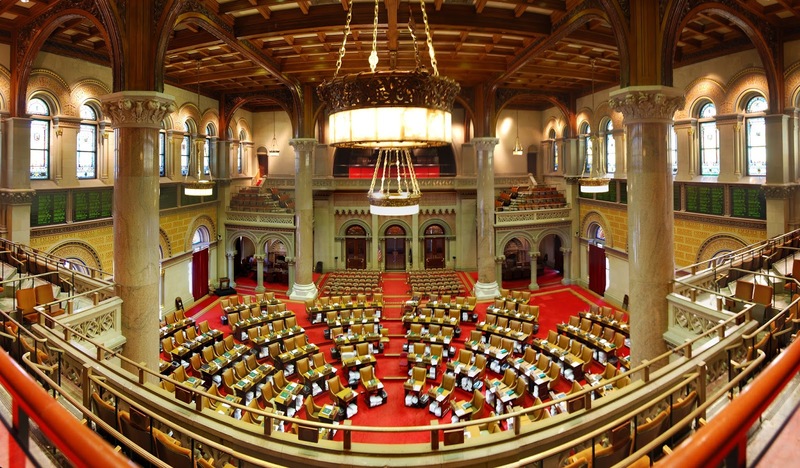 When the Democratic Conference gathered on April 29 to discuss MMA, he adhered to the same 76-vote standard that Sheldon Silver had demanded - an unusually lofty number, sure, but one which should've triggered a floor vote once it was reached. It didn't though, and because Speaker Heastie neglected to put the bill on the agenda last week when all the votes were there for sure, we're now running late and the whole house of cards is in jeopardy of falling down. Which isn't to say Speaker Heastie has doomed the cause. He hasn't, and the MMA Bill is still in play. He just needs to provide some support, which could take the form of him acknowledging that 76-vote cutoff was met and the bill therefore deserves a trip to the floor, and that the bill gets pushed through the committees in quick and speedy fashion. Will he? Only Speaker Heastie knows the answer to that. The Assembly is scheduled to convene at 9:30am, and since the Big Ugly needs to be voted on, and there are still various pieces of legislation that need attention, it's possible that the legislature will be in session on Thursday as well. This is the window in which the MMA Bill can come. As usual, keep on eye on the Assembly's posted daily agenda. "He's so close," [Assemblyman Bill] Magnarelli said of Assembly Majority Leader Joe Morelle, who is the main backer of the bill in that house. "I believe there's enough in the (Democratic) conference to pass it now. That's where it sits. I don't know what happens overnight." Keep your fingers crossed, folks, and remember: no one ever said this was going to be easy.